We Offer a Full Selection of Foam & Wool Spot Buff Pads for Your Polishers & Rotary Buffers. 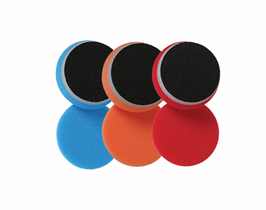 Small buffing and polishing pads from 1" to 4". Tops brands and the highest quality pads at the best prices. Select from our a huge variety of over 75 items. Sand and polish away orange peel at the same time.